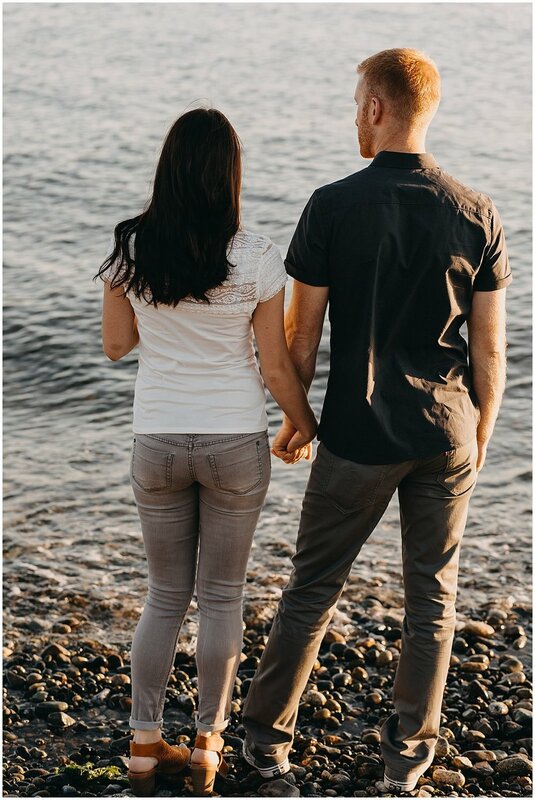 Jordan and Greg opted for a sunset session at Richmond Beach Saltwater Park. I’ve taken my dog there before (he loves it) but I’d never been there at sunset and holy wow does it get a beautiful sunset. The sun dips below the Olympics and bathes the entire beach in a gorgeous golden glow. Of course Jordan & Greg didn’t notice this because they were too busy taking the piss out of each other. I love couples that can rip each other and these two were the best at it. Zingers were flying like shooting stars during the perseid shower. But they also know how to be sweet with each other, Greg in particular was showering Jordan with compliments which made her doing the most adorable blushing smile. 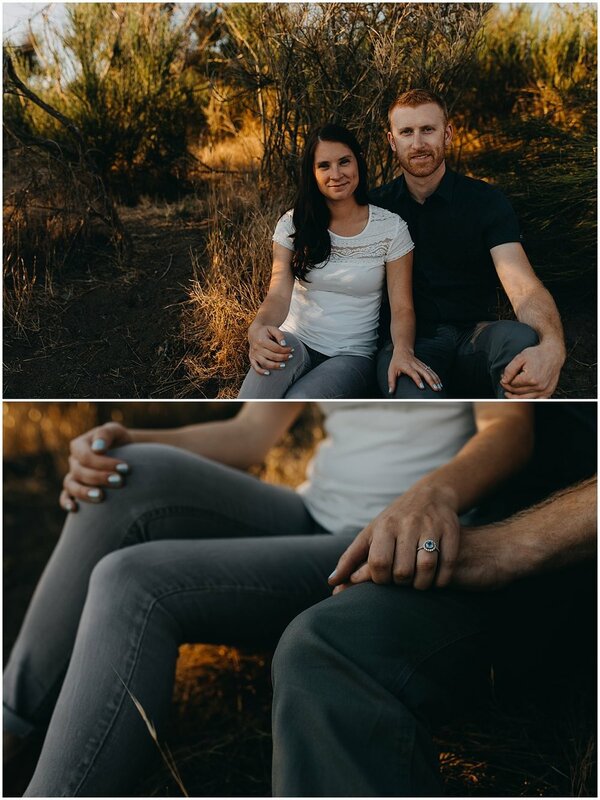 I can’t wait for their wedding next summer to capture more of their sweet love.